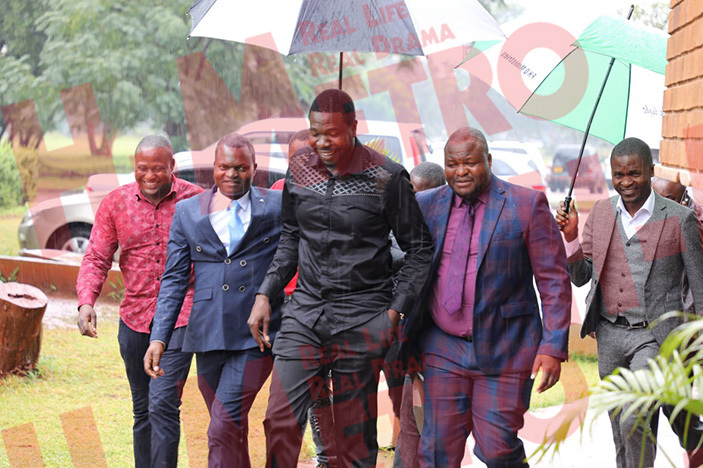 PROPHETIC Healing and Deliverance leader Prophet Magaya’s company was yesterday convicted of contravening the Medicines and Allied Substances Act. Prophet Magaya claimed to have found the HIV/Aids and cancer cure without following due process. Magaya, who appeared on behalf his pharmaceuticals company Aretha Medicines, was convicted on his own plea by Harare magistrate Rumbidzai Mugwagwa. He fined $700, which should be paid before February 8 failure of which one of his properties will be attached. In mitigation, Magaya through his lawyer Everson Chatambudza, said he agrees that he announced his new discovery without following due diligence but he is sure that it is a clinically proven drug. “The company is a first offender and should be treated with lenience, the court should also take into consideration that he pleaded guilty as a sign of remorse and saved the court’s time. “The court must also consider that prior to his announcement of the medication, he had written letters to the Minister of Health and his permanent secretary informing them of his medication and the way forward but they did not respond. “He then wrote an apology letter to same way before his arrest but he is in possession of results of the thorough medical tests the drug went through in India which can be tendered before the court and for a country like Zimbabwe with a high HIV prevalence, the drug should be embraced,” said Chatambudza. Chatambudza also added that the matter was a technical matter where Prophet Magaya only skipped protocols otherwise the discovery still stands. In giving her sentence, Magistrate Mugwagwa said there was reason why the Ministry of Health had set stipulations to be followed when one thinks they have discovered a drug and that is to protect people’s health as this would have caused people to default their ARVs. “The accused person’s announcement could have forced people to quit their medication before he had verified with the Ministry of Health, the issue is not that he didn’t find the cure, it is a matter of following due processes,” she said.